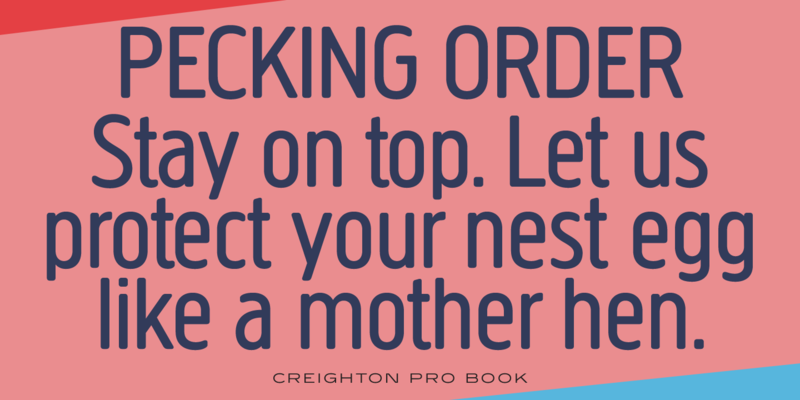 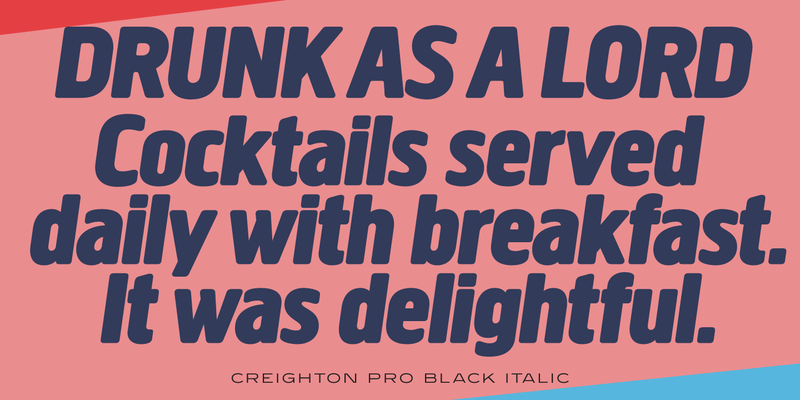 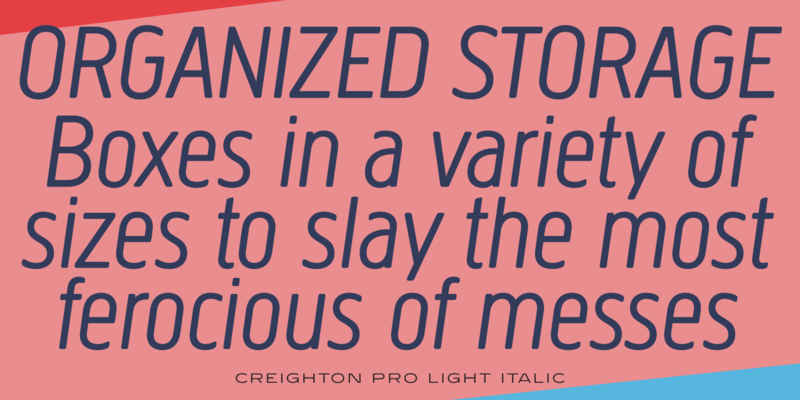 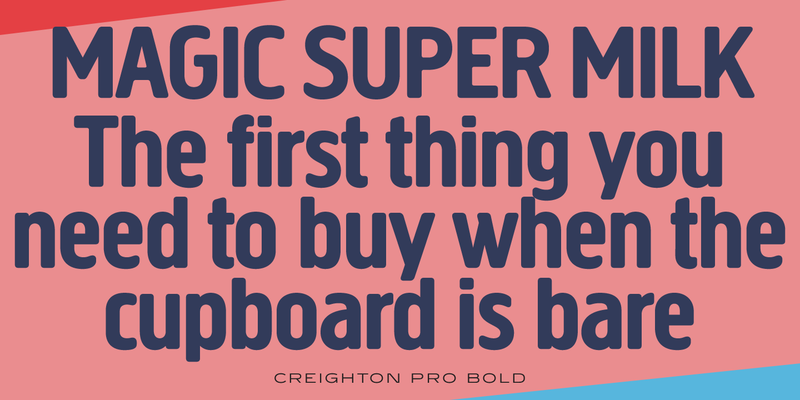 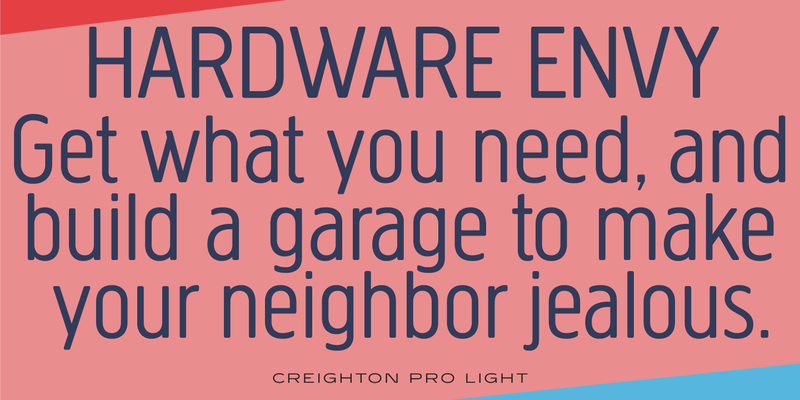 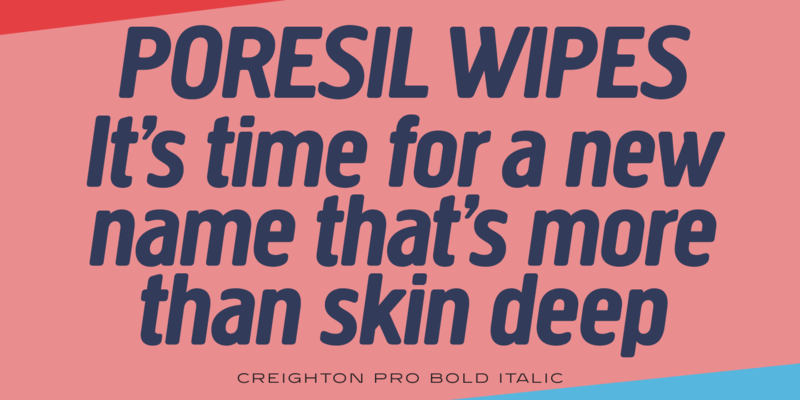 Creighton Pro is a sans serif font family with soft, rounded edges. 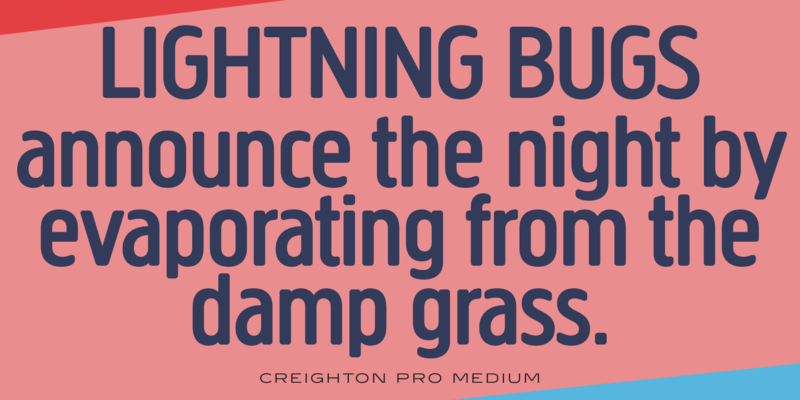 It was created and produced by Steve Jackaman (ITF) and Ashley Muir in 2011. 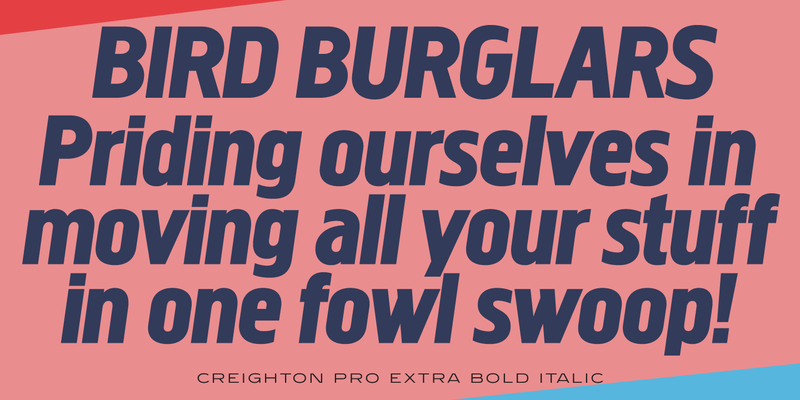 The original objective was to add a lowercase set to Les Usherwood’s “Elston” typeface, which is based on an old German typeface from Woellmer called Hermes Grotesque, but the project took on a life of its own and “Creighton” was born. 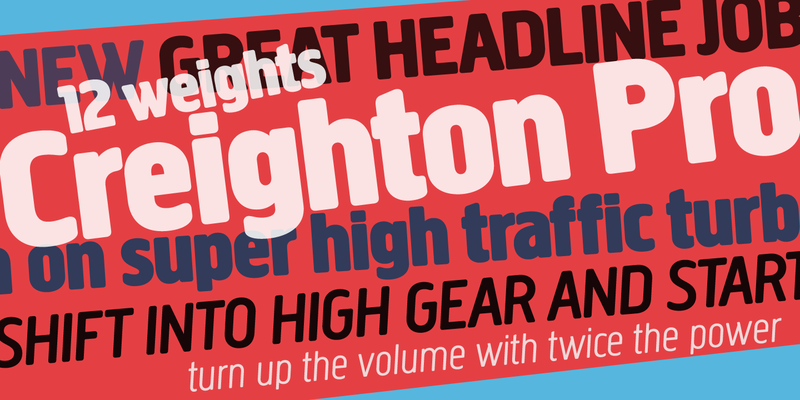 A traditional sans serif sister family, Megaphone, was developed alongside it. 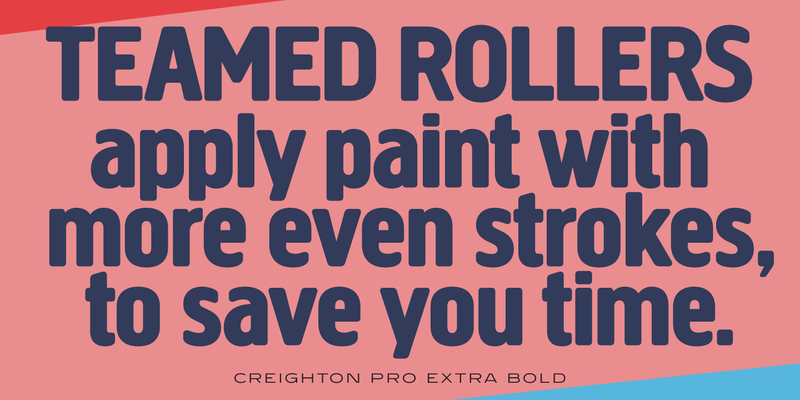 Creighton Pro sports an approachable feel, and struts its stuff at all sizes. 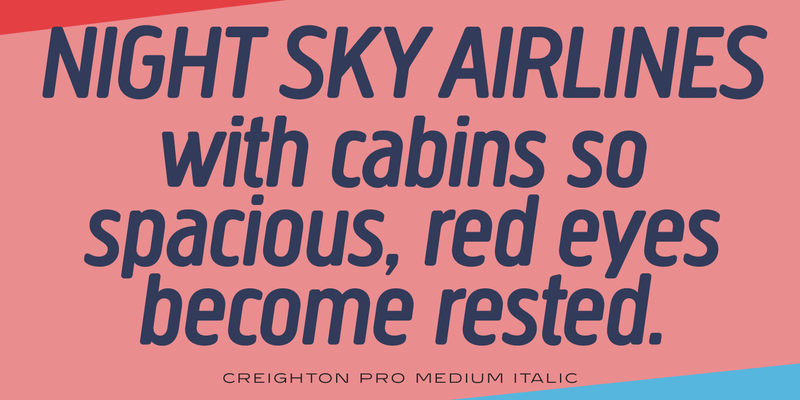 This refined version adds eight weights to the original four, and supports Latin 1 and 2 languages. 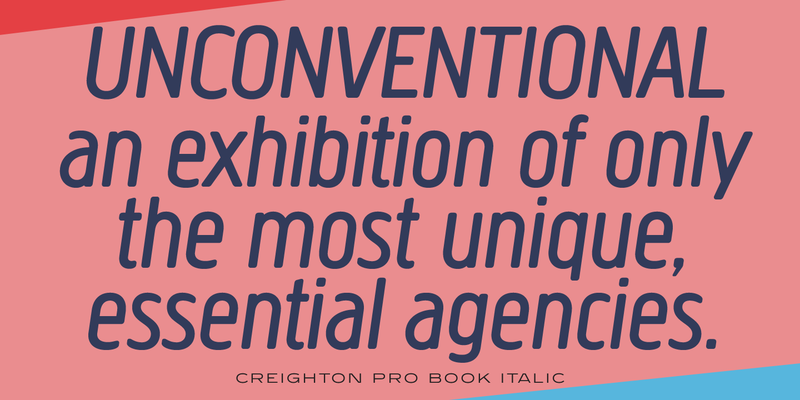 Creighton Pro is a trademark of International TypeFounders, Inc.